Happy Cooking Day! Spending most of my time at work everyday, I have been eating out alot and gained lots of weight :( As we are getting older each day, it is important to take good care of our diet and start eating healthily. Therefore, home cooking is always the best choice because we can decide whatever we want to feed ourselves with. I guess this is the very first time of me sharing recipes here? The truth is, YES! 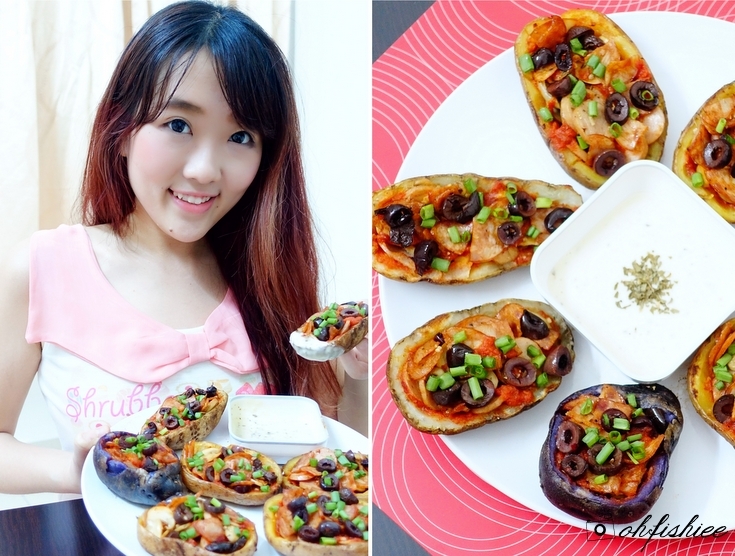 It is because recently I have joined a recipe sharing competition, the "U.S. 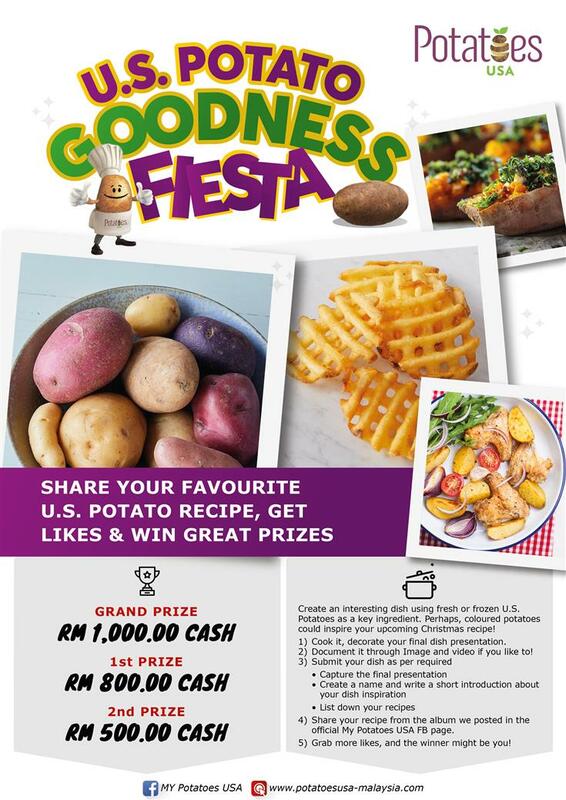 Potato Goodness Fiesta" organized by the Potatoes USA. Do you know what is in a medium-sized 148gram fresh potato? People often think potato means carb, and carb means fattening. Is potato fattening? Of course not! In fact, it works great as part of the weight management regime. 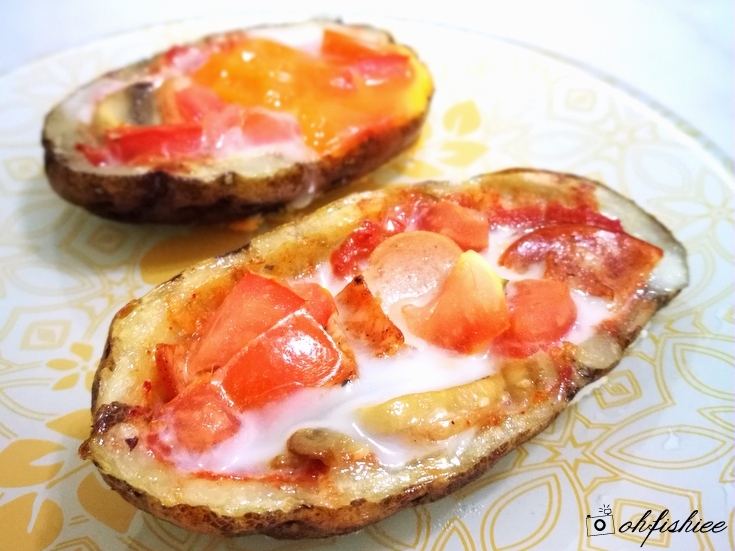 Potatoes are one of the most filling food that is easily available. 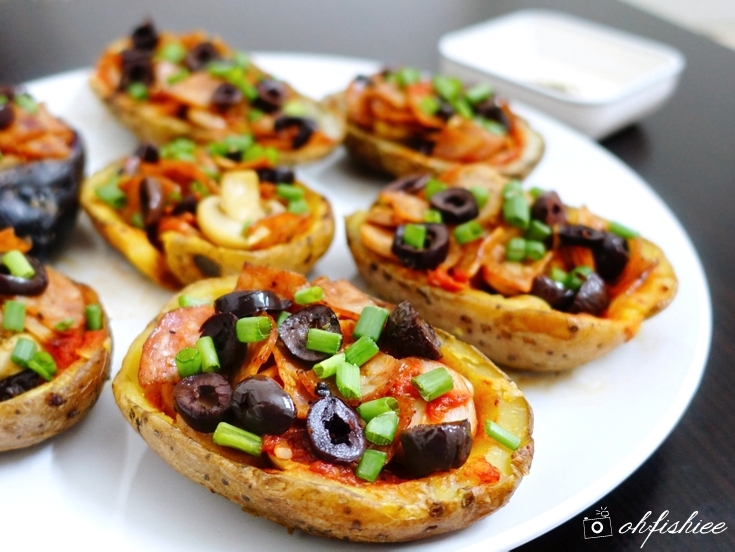 You can include potatoes in your diet and lose weight because it is the calories that matter. 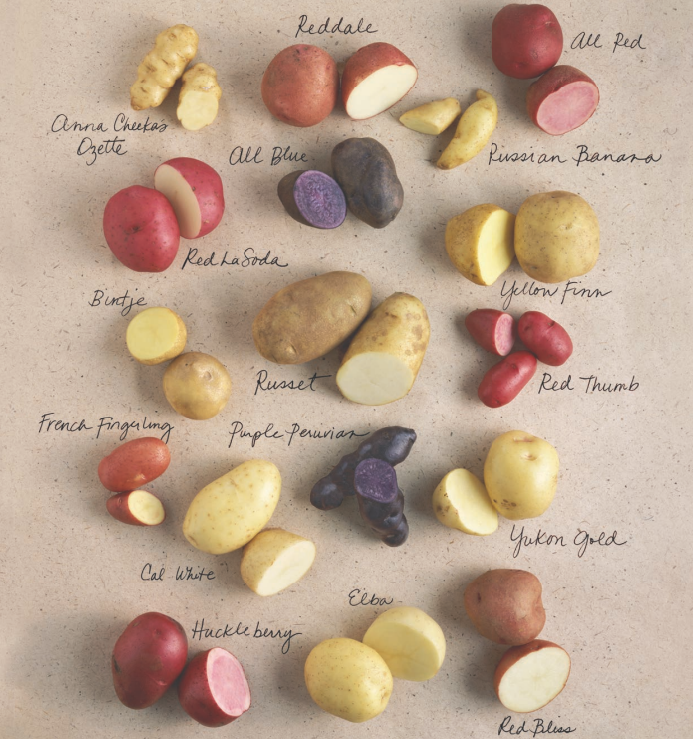 Do you know that there are over 200 varieties of potatoes sold throughout the United States? Yes, they are all imported from the U.S. and known for their premium quality. Grown under ideal temperatures, rich soil and expert grower’s supervision, every U.S. 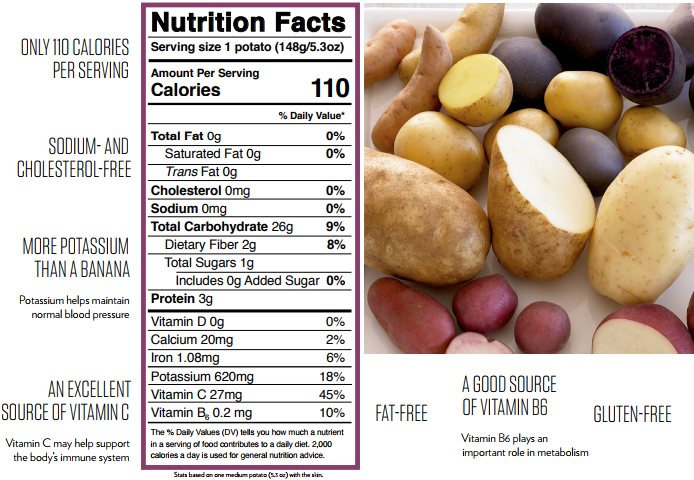 Potato meets the stringent standards for high “solids” and low sugar content. Therefore, they make great frozen potato products which contain the natural flavours and nutrients of fresh potatoes such as wedges, hash browns, French fries, waffle cut fries etc. 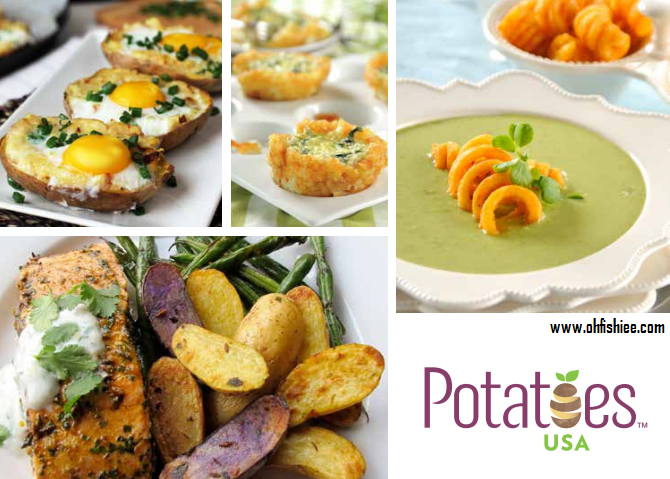 When it comes to creating a healthy and fit cuisine using potatoes, I did some researches online and found so many ways to make my meal interesting -- Baking, mashing and boiling the U.S. potatoes then pairing with any protein will make it a perfect meal to fuel the day. I am using 3 types of U.S. Fresh Russet Potatoes here -- Russet, Red and Purple. Step 1. Preheat oven to 400° and line a sheet tray with parchment paper. Step 2. Wash and poke holes in the potatoes, brush with oil and bake for 45 minutes or until tender. Step 3. Let cool for 15 minutes, then cut the potatoes in half and scoop out the filling without ruining the skin. Step 4. Brush both sides with coconut oil again and bake face down on the sheet tray for 7 minutes. Step 5. Turn over and bake 5 minutes. Step 6. Lightly sauteed the button mushrooms, sausages and pepperoni till brown. Step 7. Fill with sauce, sausage, mushrooms, olives and pepperoni. Sprinkle some oregano on before the pepperoni. Step 8. Bake for 10-12 minutes, or until pepperoni is crispy. Step 9. Serve it hot with ranch dressing if you prefer. Wanna try my Paleo Pizza U.S. Potato Basket? It is so flavourful and tastes as if I am having the actual pizza, minus the carb-loaded pizza dough! 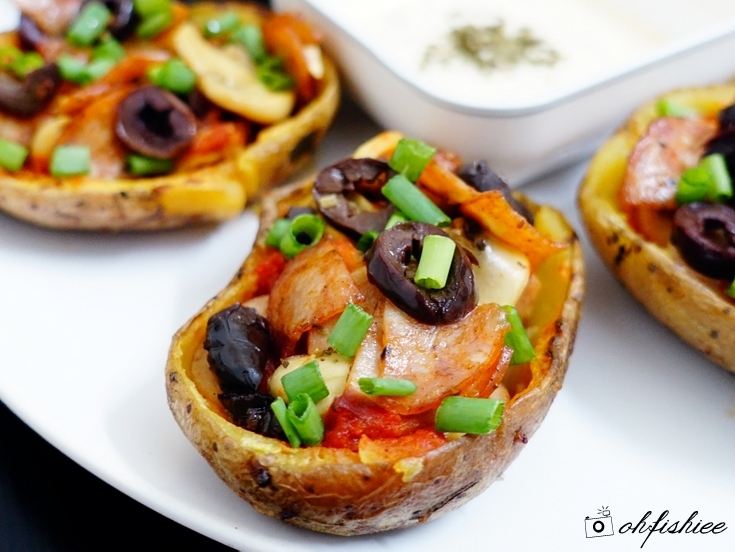 This is definitely a healthier option if you ever crave for pizza, because all the nutrients are packed in the scooped out potato. Perfect as an appetizer or a meal. ❤ Healthy, gluten free, dairy free and tummy satisfying! chopped tomatoes, and it turns out to be equally hearty and is great for breakfast!